We take care of your branded & delicate clothes. Our professional staff checks your fabric loosing colour before putting it in the machine to prevent damage to rest of your clothes. We wash Linens, woollens, curtains, blankets, soft toys, INNER WEAR, SOFA COVER, carpet etc. Come use our large capacity washers and dryers that get the job done right. We have Imported Commercial Dryers which takes care of your delicate clothes. Your clothes are even Sanitized after Drying as required heat circulates in the dryer. 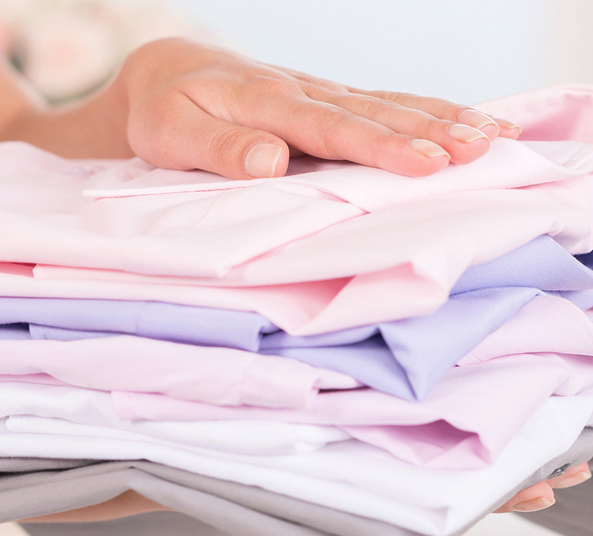 Our professional team who’s looking after your Load are trained to fold every single cloth. Then after your laundry is packed in Laundry Bag & is ready for delivery. 7b/2, TS Khirki Extn, Malviya Nagar. U16/52, Near Gali no 8, Behind RBS DLF Ph 3.